During our interview, one of UKIP's fixers entered the room and sat down opposite us. 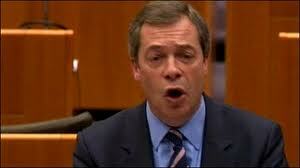 He got aggressive when I pressed Mr Farage on the amount of money they were spending on their No campaign in Ireland. The money topic came up after Mr Farage had boasted about how they were distributing their anti-treaty leaflets to every household in Ireland. When I asked him how much it was costing to print and distribute them, he inadvertently blurted out that it was around €200,000. I was shocked at the high figure and I pressed him further on it. At that stage, his fixer got aggressive and he threatened to pull the interview. "Karen, if you continue on this f****** line we'll just f****** wrap up and go, all right?" he warned me. The quote above is taken from an Irish article concerning the referendum on the EU's fiscal treaty. The journalist concerned may display alarming signs of ignorance when it comes to the EU but she had every right to question Farage on how much UKIP had spent on the 'No' campaign. Farage and his cronies clearly think that is acceptable to respond to such questions with a torrent of abuse. So much for Farage's pledge to professionalise UKIP. But what can you expect from a man who surrounds himself with sycophants, idiots, drunks and terminal failures from the Tory party? We were amused to learn that UKIP's Leon Stedman recently sought election as a governor of a mental health trust in East Anglia - a seat that had been held by John West. We understand that Mr West chose not to seek re-election due to media commitments. 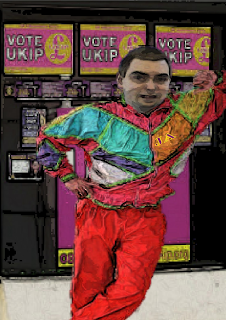 Many of our readers may recall that Mr West walked away from UKIP after witnessing widespread corruption in the party. He later turned down an offer by Lord Pearson to rejoin the sinking ship. One of our contacts in the East has told us that UKIP assumed Mr West would be standing again and were very keen to see Cllr Stedman defeat him. So did Mr Stedman win the seat? The answer is no. So much for UKIP's continued claim that the party is on the up! 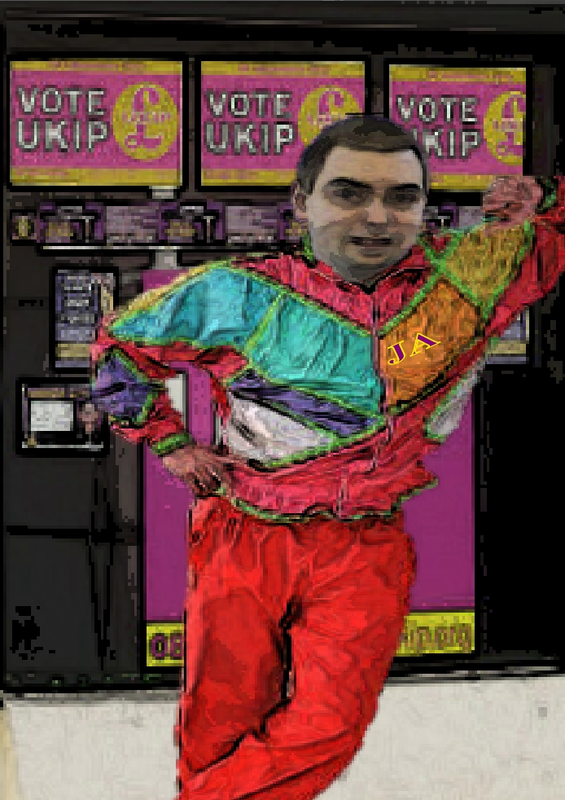 Jonathan 'frightened rabbit' Arnott must be the only person in Britain who thinks that wearing a shell suit to a political meeting is the right thing to do. But at least he gave his fellow UKIPPERS a damn good laugh as he strutted around Westminster trying to look cool and impress the ladies.